Wedding Photographers in the New Forest: How will you remember your wedding day? 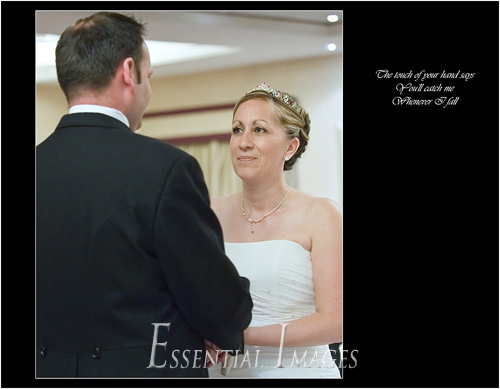 This is an example of a coffee table book page, with a little reminder of the special song chosen for the wedding ceremony. How will you remember the special moments, the emotion and the magic of your wedding day? Ensure you have fabulous photographs to look back on. We will create a unique wedding package for you including a CD of high resolution images and a set of prints too!